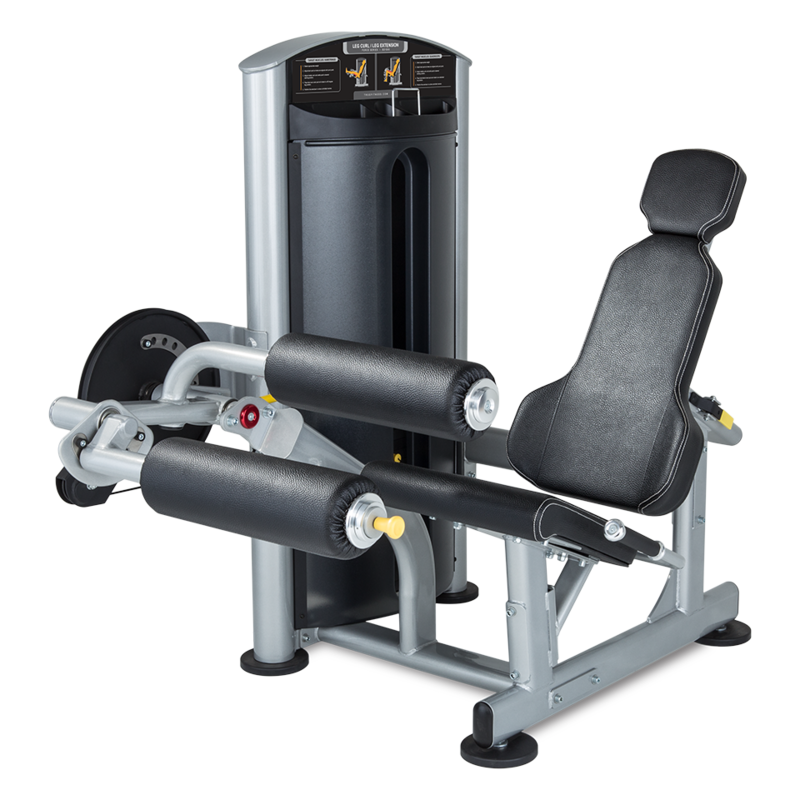 The TRUE FORCE Leg Extension/Leg Curl machine has revolutionized the ability to transition from extension to curl exercises, Users can now simply adjust positions with the pull of a knob, all while remaining seated on the machine. Like the rest of the FORCE Series, all adjustment for both exercises are and clearly labeled to provide users with extreme ease of use and allow transitions between exercises to be quick and smooth. The three different starting positions allow this machine to accommodate users of all sizes and allow each user to exercise easily and comfortably. 4 position ankle pad adjusts easily. Fixed shin pad provides stability during leg curl exercise.